My Top 10 Quotes from Albert Einstein. 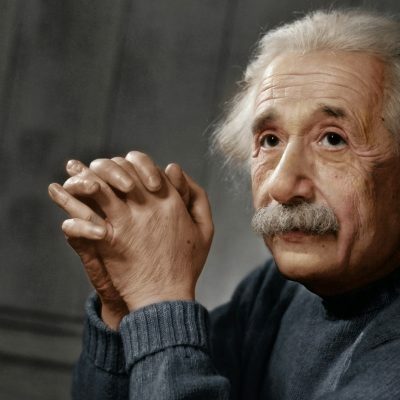 My Top 10 Quotes from Albert Einstein that will stirs your imagination. Albert Einstein is considered the genius of the century in the field of science. We explained the theory of relativity better than anyone else of his generation. In fact, He developed the theory of relativity, one of the two pillars of modern known physics along side quantum mechanics. 1. Try not to become a man of success, but rather try to become a man of value. 2. The try sign of intelligence is not knowledge but imagination. 3. We can not solve our problems with the same thinking we used when we created them. 4. The definition of insanity is doing the same thing over and over again and expecting different results. 5. It is the supreme art of the teacher to awaken joy in creative expression and knowledge. 6. Life is like riding a bicycle. To keep your balance, you must keep moving. 7. A person who never made a mistake never tried anything new. 8. The value of a man should be seen in what he gives and not in what he is able to receive. 9. Anger dwells only in the bosom of fools. 10. A man should look for what is, and not for what he thinks should be. Start Your Entrepreneurial Journey Today!